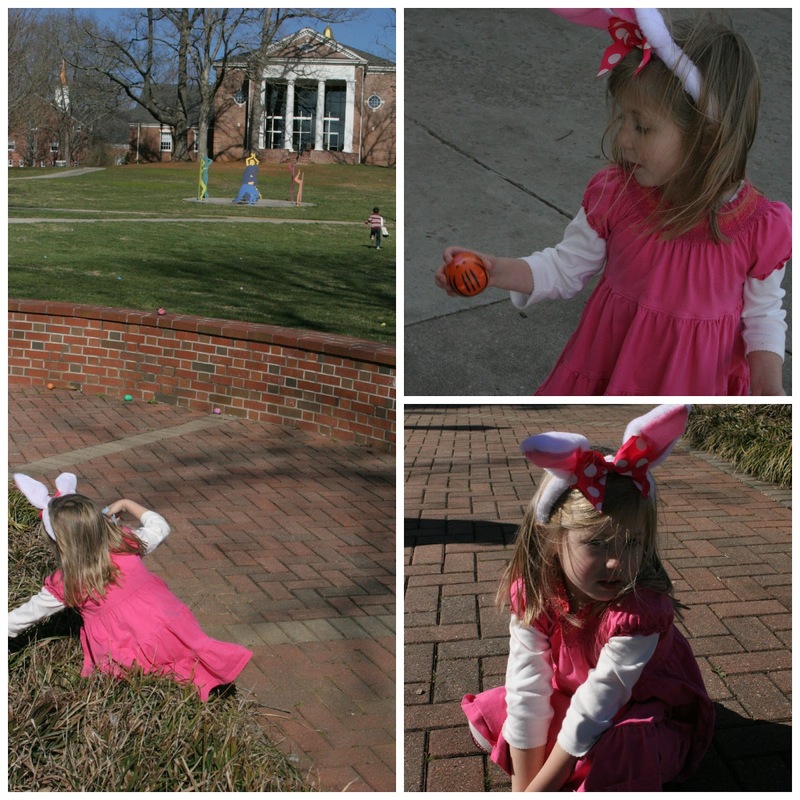 Egg hunt at Daddy's school. Piper was very serious about it. Cadence was serious about having fun and running with her buddies and finding lots of eggs. This cracked me up. 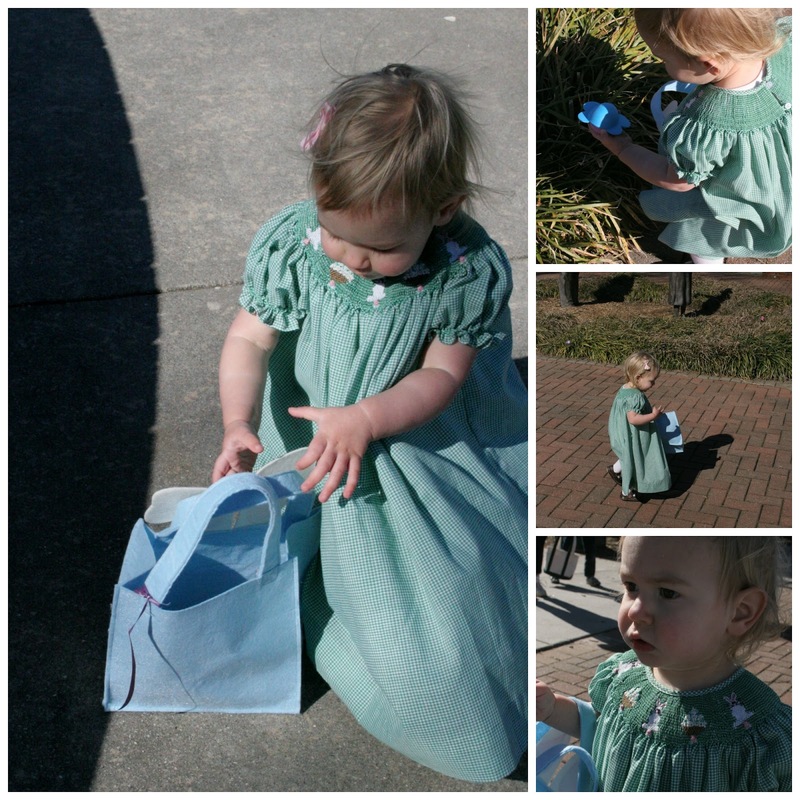 After the egg hunt, I let Piper have a lollipop she found. 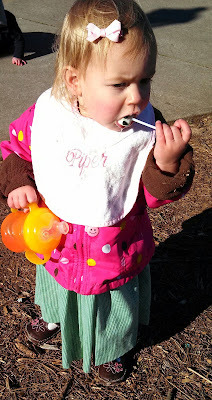 I'd had to put her big coat on because it was cold and she was dripping lollipop drool, so I stuck her bib on her and she was carrying her sippy of water around. Classy. How sweet! 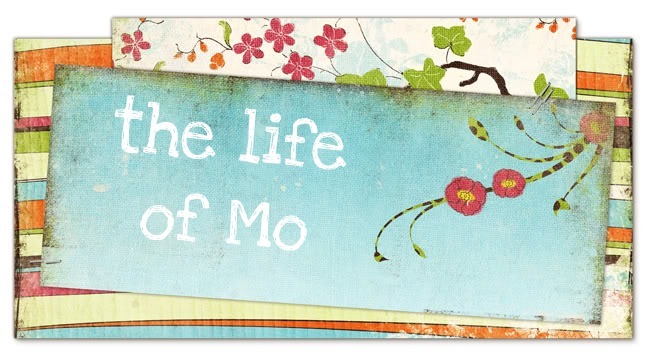 I just love all these pictures! Little P looks serious about her lollipop too! LOL! I am glad Princess C likes the bunny ears headband. They are the cutest little girls EVER! !